XPO 1 is an Ultra Slim 12mm non-illuminated sign with a peel face cover. This is perfect for A4 to A1 poster sizes, as it has been designed with easy access and simple poster changeovers in mind. Suitable for indoor and outdoor covered applications, the XPO 1 cover hides the fixings used for mounting and does away with unsightly mitred corners found on most snap frame poster displays. The XPO 1 can be wall mounted, hinged recessed, fixed to a freestanding display or suspended on cable or rods. As an added benefit the XPO 1 can be supplied as a backlit poster display that can be mounted over an existing light source by replacing the rear panel with opal acrylic. A wide range of standard powdercoat colours are available, along with anodised and custom paint finishes. The design team at X-Position can customize a signage solution to suit your needs, contact us today to find out more! Standard Powercoat Finishes – Satin Silver, or Precious Silver or Black Onyx. 45mm less than overall frame size for posters A1 and smaller. 65mm less than overall frame size for posters A1 and larger. 60mm less than overall frame size for posters A1 and smaller. 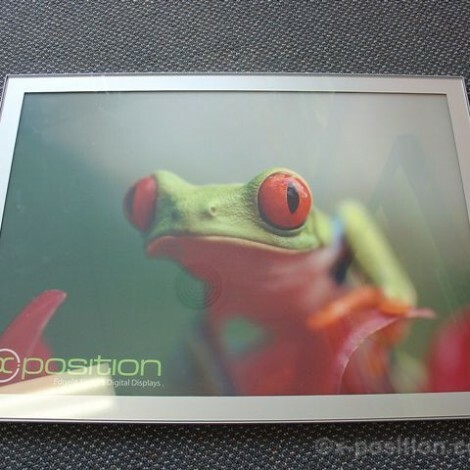 80mm less than overall frame size for posters A1 and larger. Preferred Sizes – Standard sizes are A1, A2 and A3. Some frame sizes between Min. and Max. are not possible. Contact your X-Position sales manager for further details. Lockable – Optional security screw. Key locks are not suited for this sign. All you need to do is just make a call and speak to one of our sales representatives! Copyright © 2018 X-Position P/L. All rights reserved.